Last year I brought you some rarely-seen aerial photographs of Worcester Park House in its glory days. 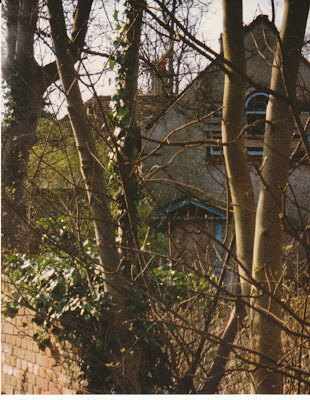 Blog reader Steve has been in touch to share his memories of 'Worcester Park Lodge' one of the out-buildings of Worcester Park House:"Here are a few photos I took in March 1993 on a visit to the Lodge, where my Nan and Grandad lived in for many years. 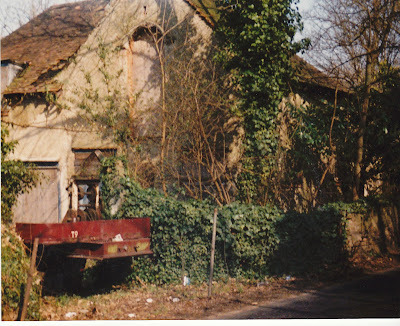 By 1993 it had been empty for years and was boarded up. They lived there with my Mum, her three sisters and one brother. I remember staying there for weeks in the summer holidays in the 1970's till early 80's, with loads of woods around to play in." 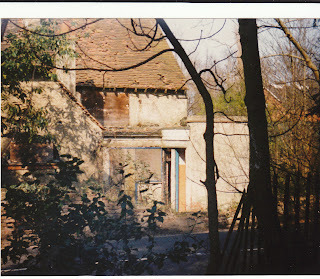 Quite what the future of 'Worcester Park Lodge' is remains to be seen. Planning permission for 'refurbishment' of the site was granted some time ago, and renewed again in 2008 but works have yet to take place.